Have you ever had questions about Dating and Marriage? How are they viewed differently from an Islamic lens vs. a Cultural lens? Have we ever thought about the correlation between these topics and our mental health? 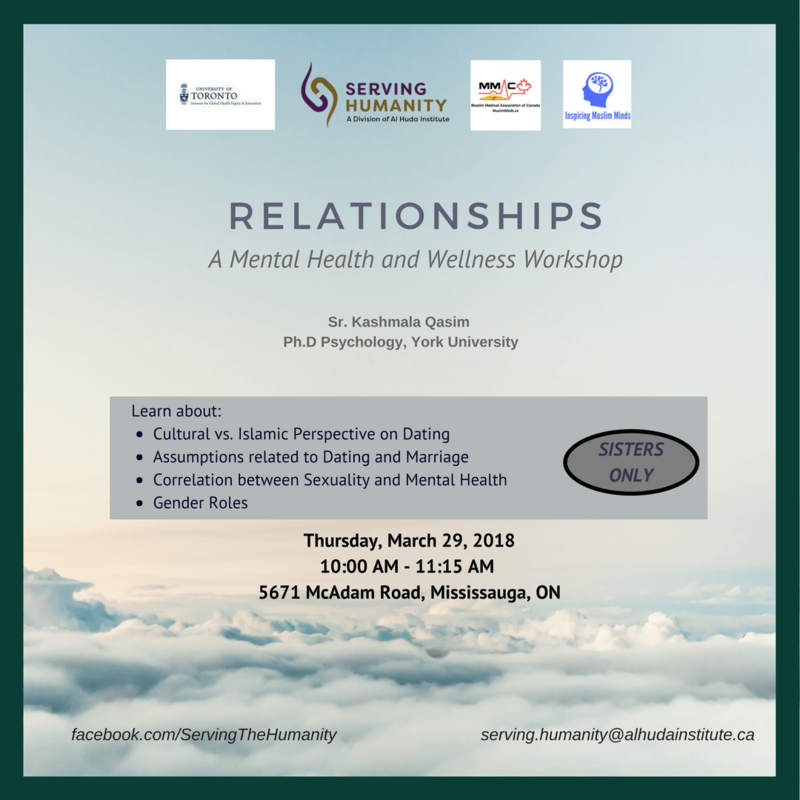 Join us for a FREE workshop for Sisters on Thursday, March 29, 2018, at 10:00 am at Al Huda Institute Canada, 5671 McAdam Road, Mississauga.